Roatan Sail Boat Charters- How to Rent a Sail Boat/Catamaran | We LOVE Roatan Blog!! Well, to follow up on my last post about chartering a boat in Roatan, I figure I might as well include how to rent a sail boat in Roatan. First off, NO SAILING EXPERIENCE IS NECESSARY, all the boats come with a captain and crew. In many places in the Eastern Caribbean you can just rent a sailboat and sail it yourself. Not here, the reef is extremely shallow in Roatan and treacherous to say the least. This is evidenced by the 25 shipwrecks all around the reefs of Roatan. Captains here do offer sailing lessons aswell. If you are in a group of 6 or less or want to do something very romantic charter the small 28 ft monohull sailboat with Captain Alex. Captain Alex is a Caribbean renissance man, having sailed his whole life. Typically you can charter the boat for 4 hours, but it is possible to charter the boat for the day or even the whole week as a live abord to go island hopping. This would be comparable in price to staying at a resort in Roatan but Infinitely more of an adventure! Also anything goes on his boat so he is great for the party crowd. 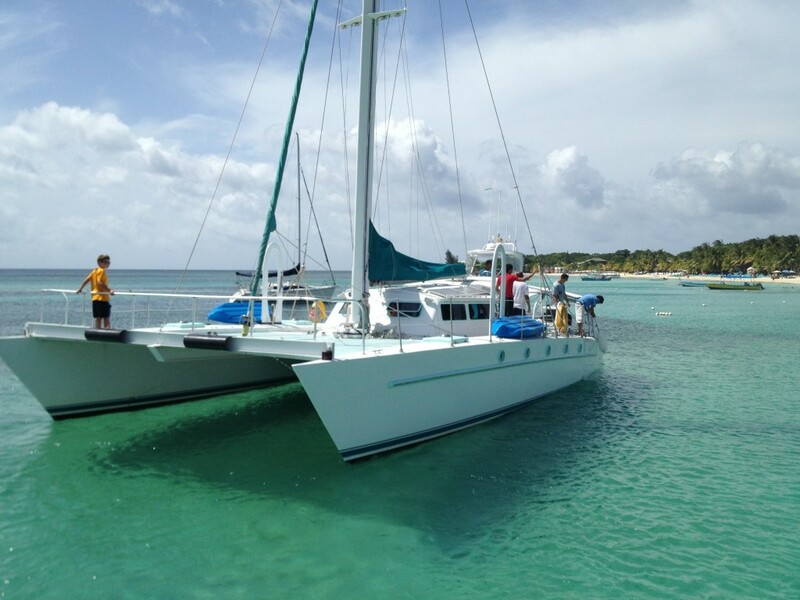 If you are a bigger group, or looking for more space and comfort then go for the 52 ft Catamaran with Captain Dave. Captain Dave is an American who has been sailing the Caribbean all his life. We have sent family reunions, weddings and corporate groups with him and they always come back raving. The boat can hold 35 people comfertably for a day trip. His 4 hour sunset sails include fruit skewers, snacks and all you can drink Rum and Beer. His rates are very fair aswell and about a third of what you would pay in St. Thomas, BVI, St. Marteens, Bermuda or Grand Cayman. In slow season he is open to doing liveaboards where you stay on the boat for a week and island hop to Utila, Cayos Cochinos and even Guanaja with rates that are less then staying in an all inclusive resort. There is something magical about snorkeling all day and sailing into the sunset with the sails flapping, do something different this vacation!